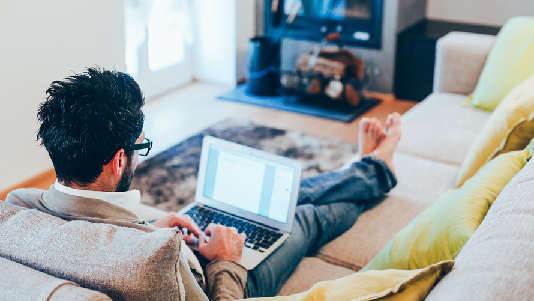 A trend that is seen in many organizations these days is giving the employees the flexibility to work from home whether full-time or part-time. Why is this trend picking up of late? There are many factors that increase choosing remote work. Human resources consultancy professionals say, finding people with right talent is becoming challenging and when the right people are identified they may not be willing to relocate as many jobs can be done by working remotely with a few tools required for those jobs. Moreover, even organizations are letting people work remotely because they do not need to invest in these employees’ office space, power consumption, and many other resources. However, what many of these organizations are missing is a proper policy in place to manage and guide employees working remotely. Here are a few points, given by top HR consultants that need to be taken note of while framing a policy for remote workers so that the option of working remotely does not favor some and hurt some. Eligibility criteria: As a first step, the organization should decide on the eligibility criteria for selecting employees that can be given the option to work from home. It should be predetermined as to what positions are eligible and who has the power to decide this. Professionals from HR consulting firms insist that this should be done properly so as to assure all the employees that this process is fair and consistent. Transparency: The HR department of the organization should ensure that the whole process is specific and transparent. It is possible that the eligibility may depend on position, performance, or any other factor. All these should be clearly stated in the policy in a manner that all the employees will understand. Work requirements: Experts at human resources consultancy suggest including the standard tools or other requirements in the policy that are needed to perform the job effectively without any disruptions. Requirements like a dedicated workspace, high-speed internet connection, and other tools as required for taking video calls or attending teleconferences should be clearly mentioned so that the work doesn’t get affected later on due to non-availability of any of these. Communication requirements: Although work-from-home employees work independently often, they may need to interact with the other employees regularly or periodically depending on their work nature. Hence, it is better if the organization determines the guidelines regarding the working hours for the remote employees and when they should be available for communication with other employees say the HR consultants. Support availability: The policy should state clearly what kind of support whether technical or administrative can be expected from the organization and in what circumstances. The policy should also mention any alternative course of action that is expected of the employees in case of technical difficulties that hamper their productivity. Security and confidentiality: A major concern for any organization in giving flexibility to its employees to work from home is the safety and confidentiality of the information they work with. The policy should mention the safety measures that need to be taken to protect the security and confidentiality of the organizational information and the consequences of not adhering to these guidelines. Without a policy in place, if an organization tries to adopt flexible working conditions, it may complicate the work atmosphere rather than bringing in ease. Get your policy for remote workers drafted on time to avoid complications. You can get assured assistance in this aspect from Accuprosys, the best HR consulting firm.